We invite you to join us as we walk the final 112 km (about 69 miles) of the Camino de Santiago from Sarria to Santiago de Compostela, Spain. Walking this section of the path, you will be eligible to receive the pilgrim's credential upon arrival in Santiago, if you so choose. You may be called to walk this path for a variety of reasons: If you are looking for clarity and a way forward in your life, if you are seeking to reconnect with your authentic self, or if this is simply something from your "bucket list," this is the ideal journey for you! 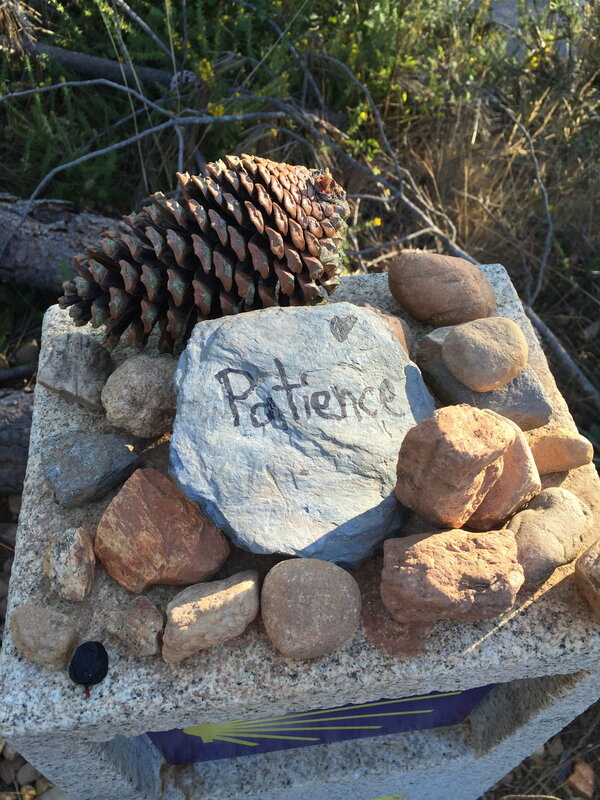 We will interweave daily yoga practice, inspiration and group discussion with our pilgrimage as added pathways to open what you seek on this journey. As we walk the path we will invite spiritual awakening, meet pilgrims from all over the world, and experience the wonder of a deeper knowing of the world and ourselves. 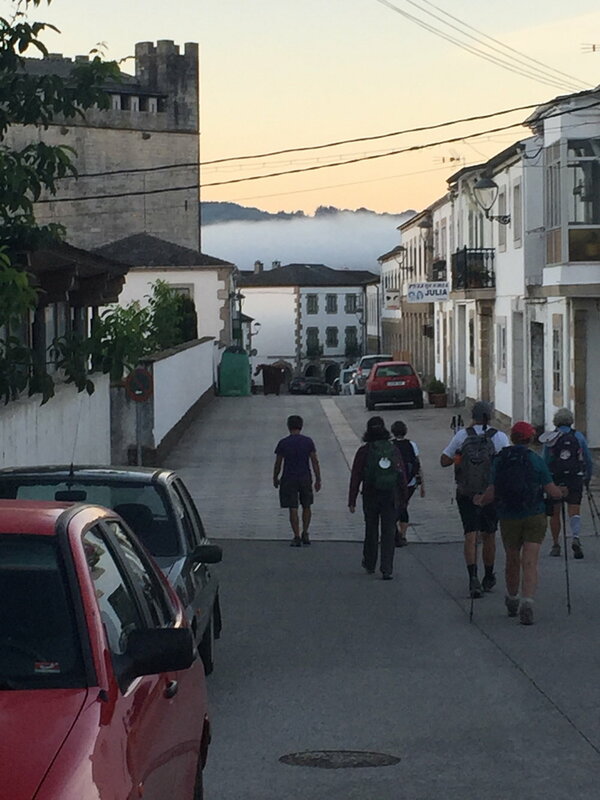 There are many ways to walk the Camino de Santiago. With our package, we walk the last 112 km of the Camino Francés. You will be provided with beautiful three star hotels, baggage transport so you only need to carry a day pack, and many of your meals are also included. We will have optional yoga every morning, as well as gatherings at the start and the end of the day to share with each other. We will be joined and assisted by a local guide, who will give us lessons about the Way as well as provide overall support. He will provide you with your pilgrim's passport and your pilgrim's shell - many of the details are taken care of for you. The days will have a structure, but there is a lot of freedom. We will meet for lunch and dinner, but will walk individually or in small groups, thus allowing you the flexibility to detour, walk in silence, or walk with people outside our group. Much of the joy of this journey is in the people that you meet along the Way. We also provide integration of the journey by including meeting (virtually or in person) for a day prior to departure, gathering for preparation in Madrid, traveling by train together from Madrid to Lugo, a day with a guide in Santiago de Compostela after finishing the walk and a closing ceremony at the coast. All of these additional experiences help to enrich your pilgrimage experience. If you would like to read the blogs from our last journey, please click here. · Train and bus tickets for transport from Madrid to Sarria. · Beautiful, 3 star, overnight accommodations for 8 nights. · Meals to include breakfast daily, home-prepared trail lunches and four dinners. · Professional support and guidance on the path, including baggage transport and bus in the event of fatigue or injury. Sept 15: Meet in Madrid for an opening dinner, stay together in hotel. Sept 16: Transfer by train to Lugo, then bus to Sarria. 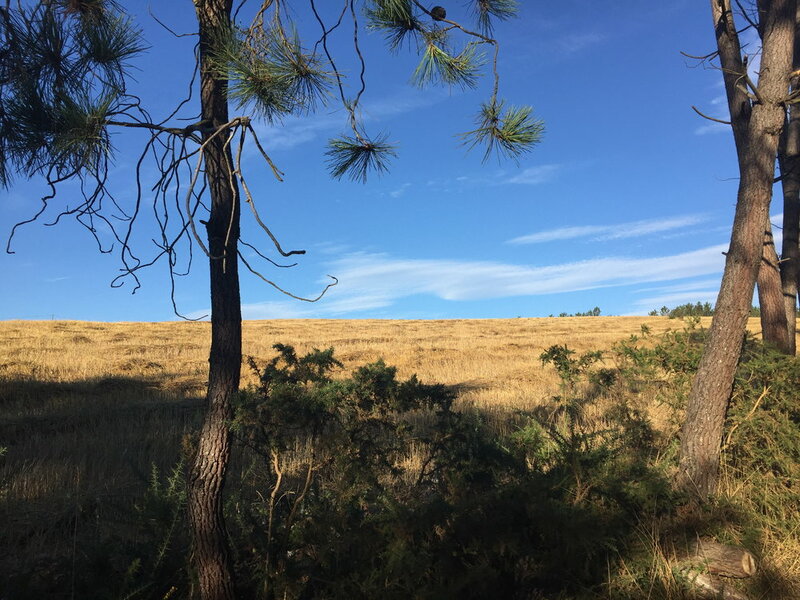 Sept 17 - 21: Walk to Santiago de Compostela. Sept 21: After arrival, tour cathedral with a local guide and attend pilgrim’s mass at cathedral. Sept 22: Bus to the coast for closing celebration and final lunch. Thank you! We are so excited you will be joining us! Please mail your deposit of $2000 to Deep Peace LLC, 24 Pleasant Street, West Hartford, CT 06107. Alternatively, contact us if you would prefer to pay by Venmo or Paypal using the pay to a friend option! The walking elements of this trip are physically demanding. We will be walking up to 15 miles a day, and proper preparation is crucial for enjoying this journey. 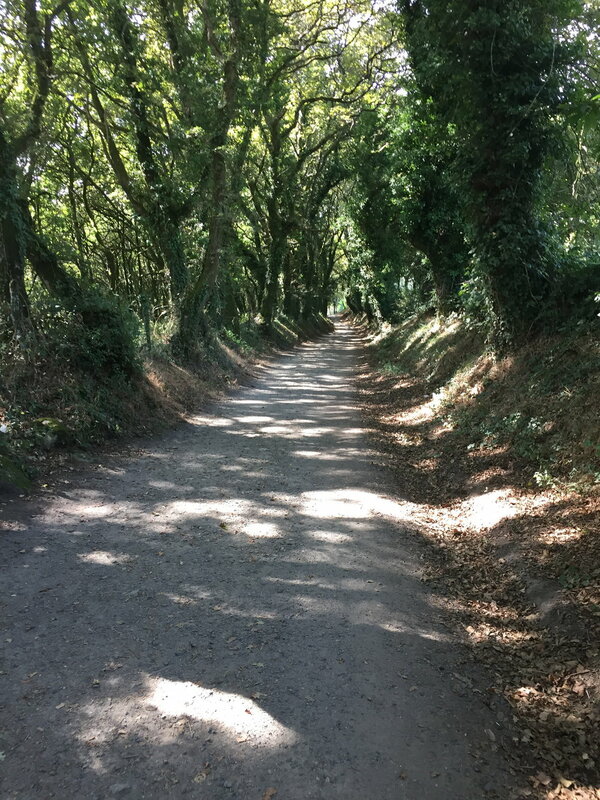 We will be walking the Camino path through farmland, small towns, hills, forests and along roadsides. Pilgrims will need to bring a lightweight journal. A Limited number of singles available for an additional $500. A deposit of $2,000 is required for registration and the remainder is due by May 1, 2019. All payments are nonrefundable. Travel insurance is recommended, as is early registration. Our journey is limited to 16 pilgrims. "My bucket list trip to walk a section of the El Camino was everything and more than expected, thanks to the professionalism of Deep Peace and their staff. From the get go they gave us a thoroughly detailed itinerary, a packing list and gentle reminders to start physically prepping for long sometimes rigorous walks. The communication before, and during the trip was spot on. The accommodations were wonderful, the food was delicious and bountiful. The optional morning yoga ( I never missed a day) and readings were an added bonus to the mix and the evening gatherings where we shared our experiences were truly inspiring. Nancy C Murray, E-RYT 500, YACEP® is a certified Kripalu yoga teacher and a professional level Pranakryia Yoga teacher and Yoga therapist. She is also a Reiki master teacher. Nancy’s style of teaching is designed to remind people of their inner radiance. 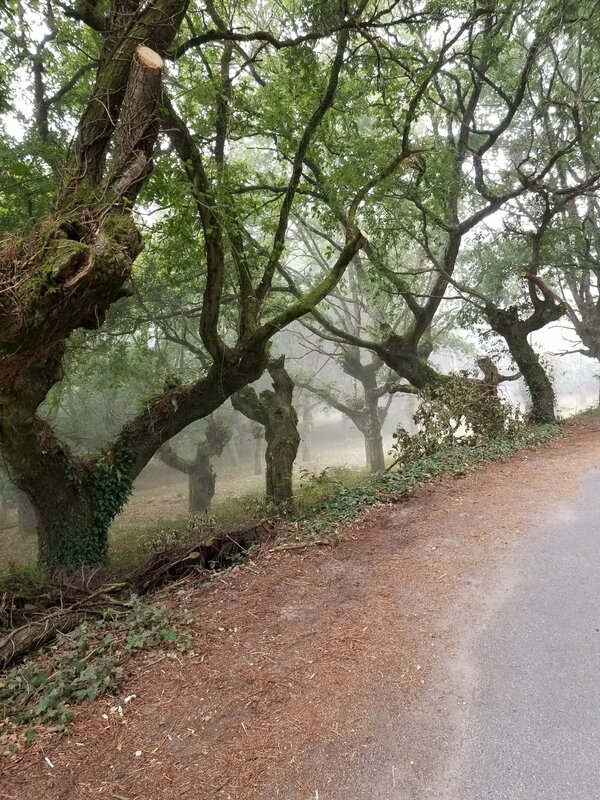 Her life has been greatly transformed by her first two trips down the Camino, and she looks forward to sharing this transformation with you! She will guide us in daily yoga practice both planned and spontaneous, to connect us deeply to ourselves and the energy of the Camino. She will give daily Reiki blessings to those who wish. 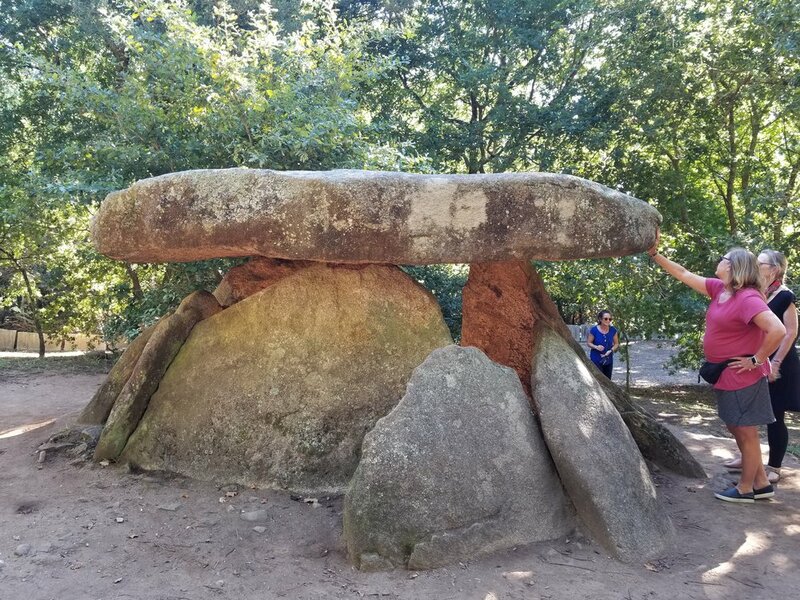 Hugh Murray has been exploring connections between individuals, societies, the natural world, and the larger universe since studying the history and philosophy of science in college. For the past quarter century, he has worked as a lawyer helping to resolve workplace disputes, learning a lot along the way about how an individual’s place in our modern economy can overwhelm our true identities, and the importance of balancing the economic, physical, intellectual, and spiritual aspects of our being. Hugh has twice walked portions of the Camino de Santiago and looks forward to walking with, and learning from, a new group of pilgrims.